What Is the Difference Between Creme Anglaise & Pastry Cream? 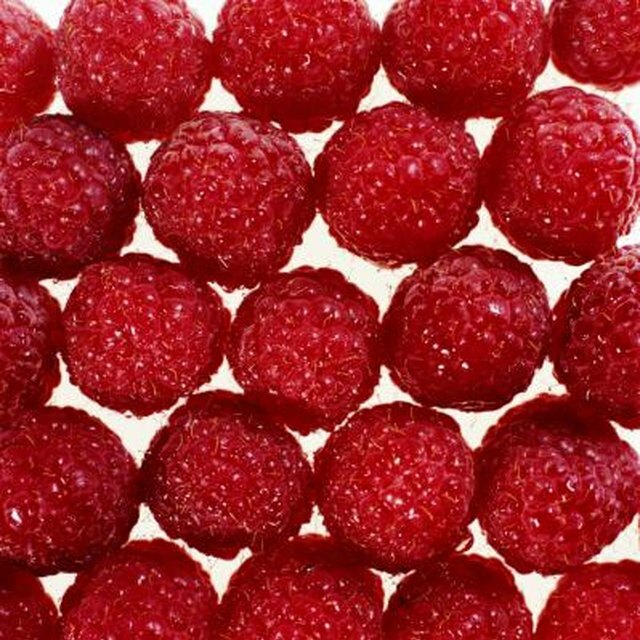 1 What Can You Make With Creme De Framboise? 2 Can Sour Cream Be Substituted for Creme Fraiche in a Potato Casserole? 3 What Is the Difference Between Creme Anglaise & Pastry Cream? Turn the oven on and heat it to 300 degrees. Mix together egg yolks, 4 tbsp. of the sugar, and vanilla until the mixture becomes thick. Heat the cream in a saucepan on low until it is almost boiling, then take it off the heat right away. Add the cream to the egg yolk, sugar and vanilla mix and blend well. Use a double boiler to simmer the mixture for about three minutes. Pour the creme brulee mix into small custard ramekins or espresso cups. Place the ramekin of cups in a baking dish and fill the baking dish halfway with water. Cover loosely with foil. Bake for about 30 minutes or until centers of creme brulee are set. Allow custards to cool then refrigerate for at least several hours. Combine the rest of the white and brown sugar and sprinkle it over the custards. Put them under the oven broiler and cook for about 3 minutes or until sugar is hardened and crisp. 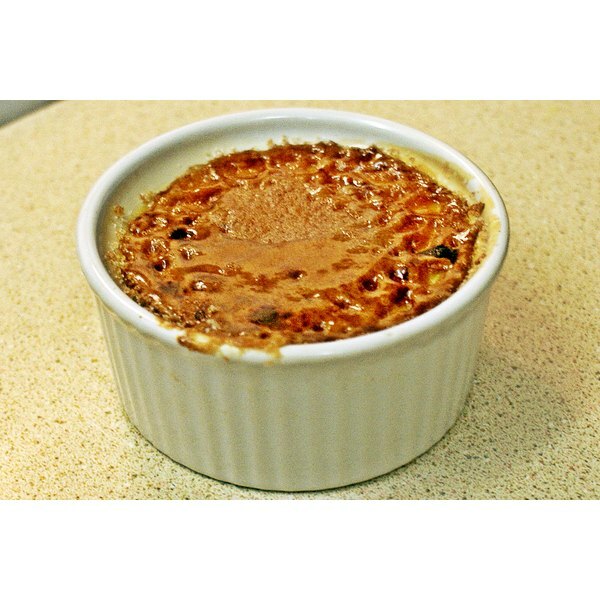 If you don't have individual cups or ramekins, the creme brulee can be made in a shallow dish that is oven safe.